Other: The final book in The Hunger Games Trilogy. The Hunger Games is currently being made into a movie. This review might have some slight spoilers for those of you who haven't read the first two books in the series. Reading is at your own risk. 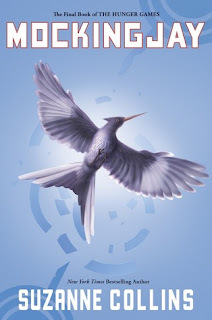 After the rollercoaster ride that we had with The Hunger Games and its sequel Catching Fire, Mockingjay is the worthy final of this epic trilogy. 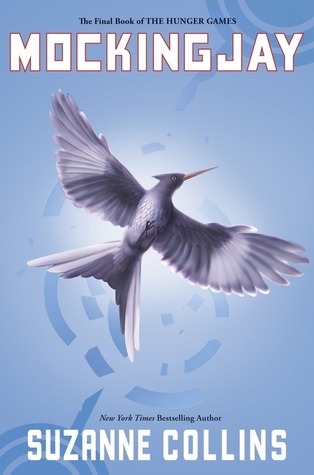 Nothing short of spectacular, Suzanne Collins manages to write another action packed book that I can only say 'Thank you' for. Before I started reading, I read some reviews of people that had read the book already and found the ending to be unsatisfactory. I'm quite the opposite, to be honest; I loved what Suzanne did for the ending. Yes, the book is filled with action and emotion and she really doesn't spare her characters, but I feel like this is the only right way to end the series. Collins filled this book with more action and fighting and the mockingjay has an important role in this book. I love what she built up to, although I was really sad to read about what happened to some of the characters (those of you who have read the entire series, you'll know which ones I am talking about). Also, I want to add that I really liked the epilogue that Collins wrote after the story ended. It put everything in perspective and again, she doesn't spare anyone. It was a good and realistic ending for the series and from now on, I can say that the entire series is one of my absolute favorites. I would recommend it to anyone. Nothing short of spectacular, this book is epic, awesome, amazing and all other things made of amazeballs.